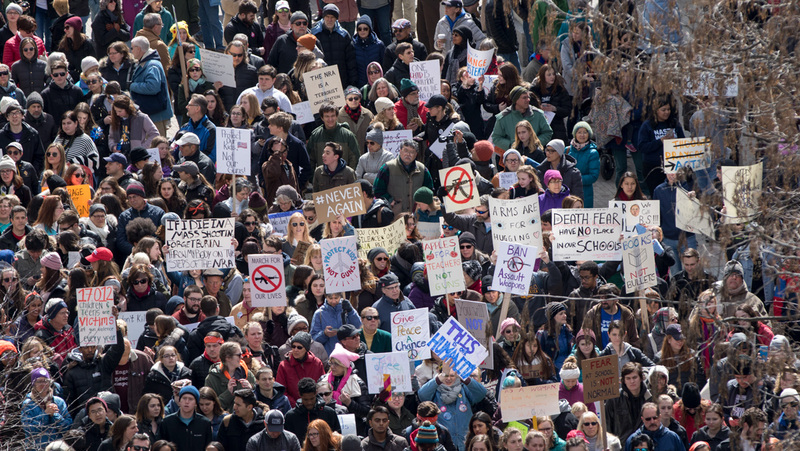 Ithaca’s March for Our Lives event was one of 846 marches to protest gun violence and promote legislative gun control on March 24. Daniel H. Weiss is the first Commencement speaker since 2009 who is not an alum of the college. “I stand here with you, continuing to have the courage to share with you who I am as a person and certainly as your leader,” Collado said. An email alert about the robbery was sent to the Ithaca College community early in the morning on Dec. 28. Eastman Hall houses approximately 120 students, and everyone was evacuated safely, according to the college. According to an email alert that was sent to the entire college community, technicians are currently working to fix the phone system. Ithaca College President Shirley M. Collado announced the appointments via email to the college community. The college is responsible to release the annual report by Oct. 1 each year in compliance with a federal mandate. Rosanna Ferro, newly appointed vice president for Student Affairs and Campus Life, held separate discussions sessions on campus for students, faculty and staff. Linda Koenig will take on Tiffani Ziemann’s role as Title IX Coordinator at Ithaca College. An armed robbery occurred at approximately Sept. 15 at an apartment on Coddington Road near the back entrance to Ithaca College.